The shoulder is an elegant piece of machinery. It happens to have the greatest range of motion of any joint in the body. However, this large range of motion can cause the shoulder to become unstable, leading to joint problems and the site of multiple injuries. Your shoulder joint is composed of three bones: the clavicle (collarbone), the scapula (shoulder blade), and the humerus (upper arm bone). An edge of the scapula, called the acromion, forms the top of the shoulder. Treating shoulder injuries is a unique orthopedic specialty that requires careful evaluation, diagnosis, and follow-up care. 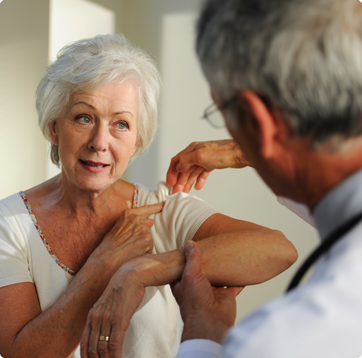 Patients of any age can experience shoulder problems, including arthritis, bursitis, and tendonitis. 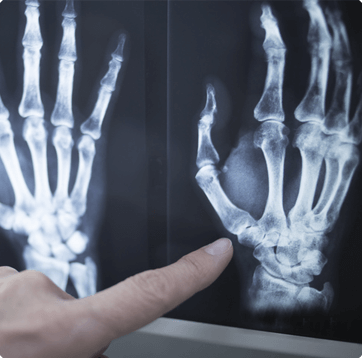 That is where the doctors at New England Hand Associates can help. Dr. Brunelli and Dr. Dietz treat upper extremity injuries and conditions, including the shoulder. Both doctors also specialize in shoulder repair and reconstructive surgery, including total shoulder replacement. They see and treat the full range of sports and work-related injuries, and degenerative diseases. Our orthopedic surgeons use the latest and greatest technology to treat a full spectrum of conditions affecting the shoulder, to ensure a successful outcome and recovery. Based on your diagnosis, the doctors will be able to tell you if surgery is required for your condition, or if an alternative, non-surgical treatment is available. New England Hand Associates has several convenient locations that are close to where you live or work, so you won’t have to travel into Boston to be seen by expert orthopedic surgeons like Dr. Brunelli and Dr. Dietz. Call (508) 872-7881 to be seen in our Framingham, Milford, and Concord offices.